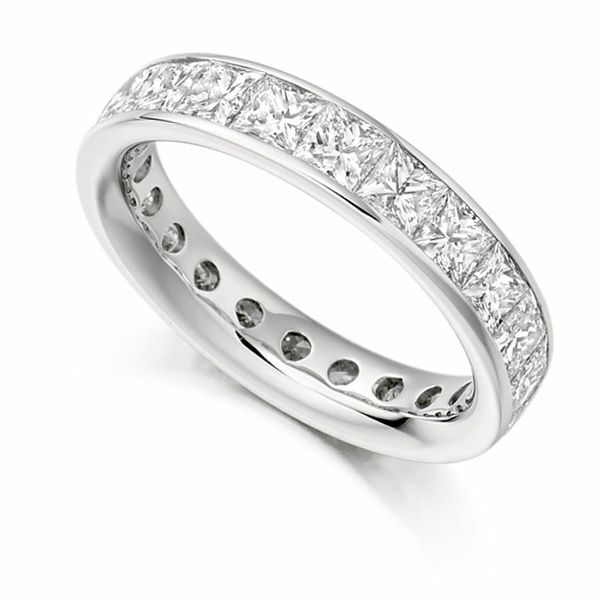 Full diamond eternity ring, set with a total of 3.30 carats of princess cut diamonds within a full channel setting. Styled with over 3 carats of dazzling white Princess cut Diamonds, this full set Princess cut Diamond Eternity Ring is nothing short of incredible. Each perfectly matched Diamond is measured with total precision. A comfortable 4mm wide band features a flat court profile with inner comfort fit. Substantially crafted, this impressive full Diamond Eternity Ring takes approximately 4 weeks to craft. Achieving a total of 3.30 carats, each Diamond is held within the channel setting for an endless flow of dazzling, Round Brilliant cut Diamonds. Enjoy a wide choice of precious metals, free Diamond grading certificate, luxury packaging and presentation, 60 days returns and a lifetime warranty on your Diamond Engagement Ring. We are happy to deliver your ring by secure courier to many locations worldwide, directly from our UK showroom. 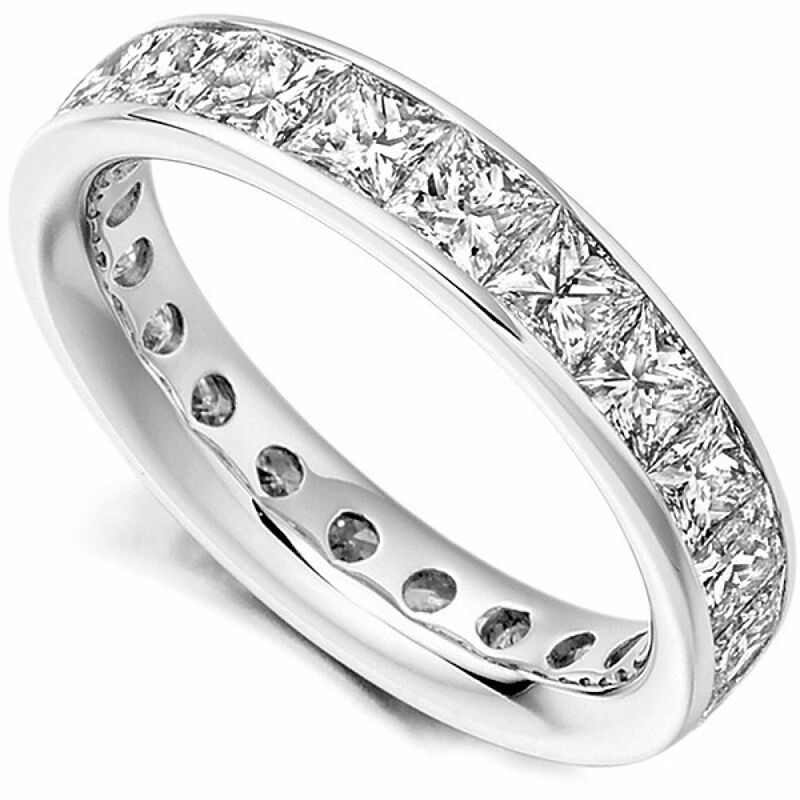 Please contact us for any additional help on this spectacular Princess cut Diamond Eternity Ring.